My 4 year old love video games just like my husband and is really into Minecraft. So I came up with this fun Minecraft Creeper Munch he could enjoy while he is gaming. 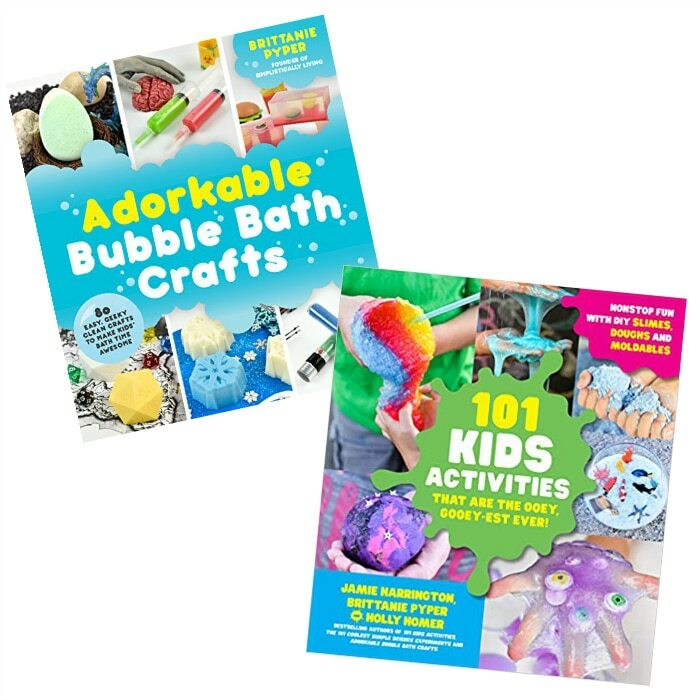 If your child is a fan of Minecraft you are probably familiar with the look of Minecraft. I was really trying to get that feel of Minecraft in this tasty treat. That is why I went with a few different shades of green colored chocolate, brown chocolate, and mint M&M’s (which are addicting and delicious by the way). 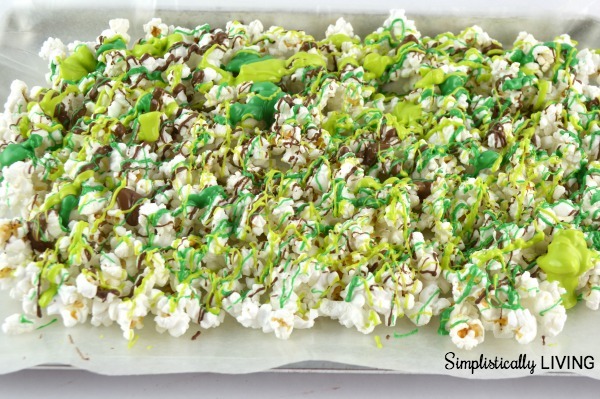 This tasty treat only takes a few minutes to make and would be perfect for a Minecraft themed party. 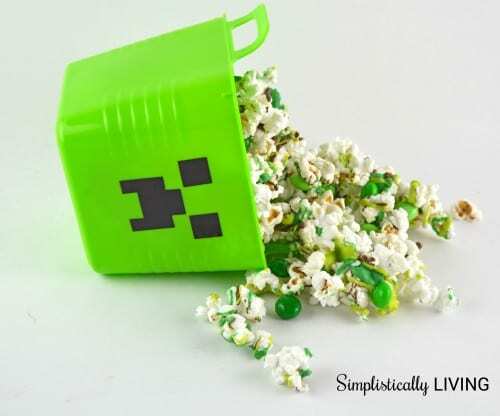 The container you see above is one I found at Dollar tree and you can check out my tutorial on how to make your own Minecraft Creeper Basket here. I sure hope you will all give this treat a try! The recipe is below! Enjoy! Pop the popcorn in the microwave according to directions on the box. 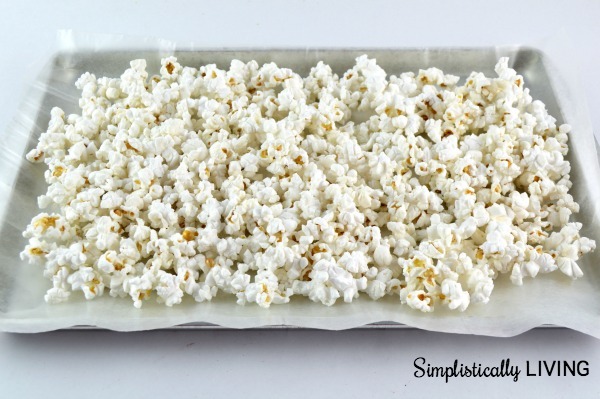 Dump the cooked popcorn onto the wax paper and distribute it evenly on the wax paper. 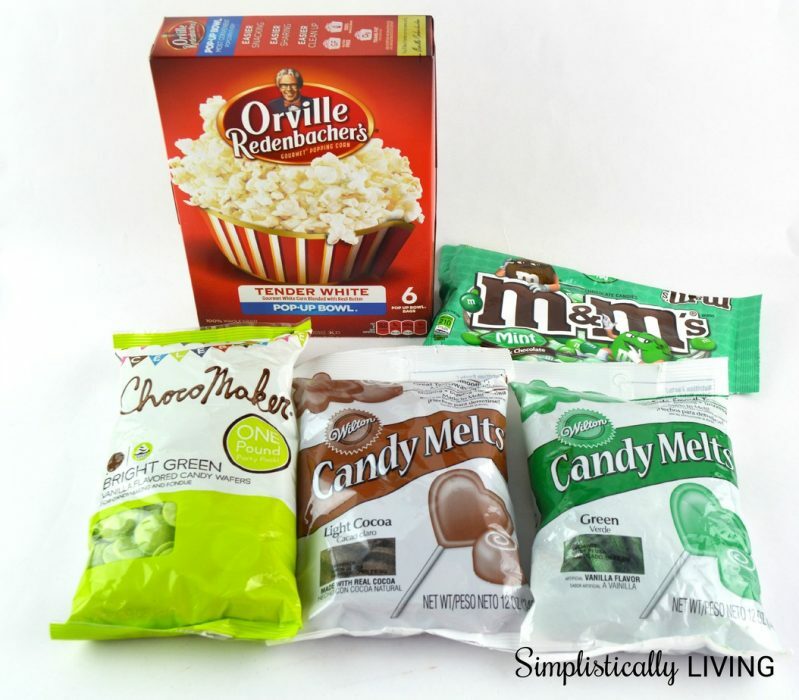 Place some melting chocolate into your microwave safe bowls (melt each color separately) and melt in 30 second increments until all the candy is melted. 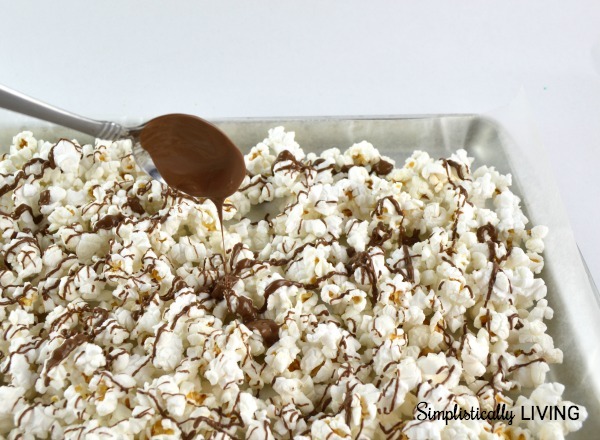 Use a spoon and drizzle the melted chocolate over the popcorn. Repeat the step above with the additional colors of chocolate. 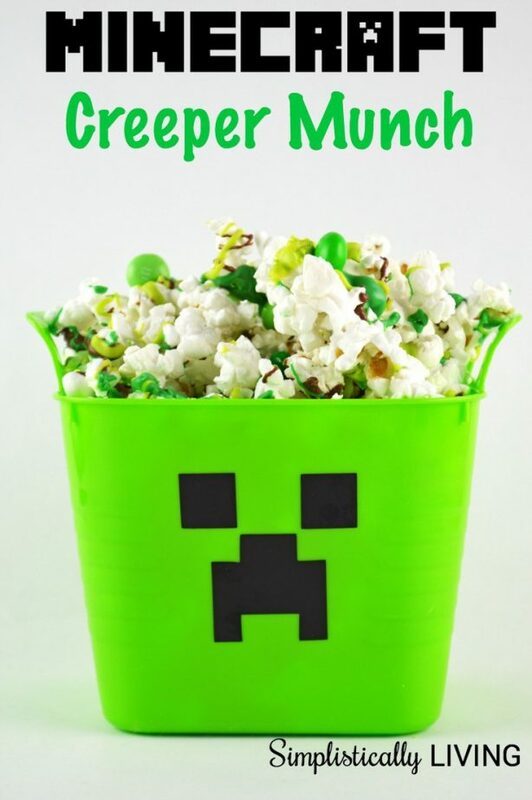 Break into pieces and place into a bowl, cup, or cone and serve to your Minecraft Creepers! Cool! 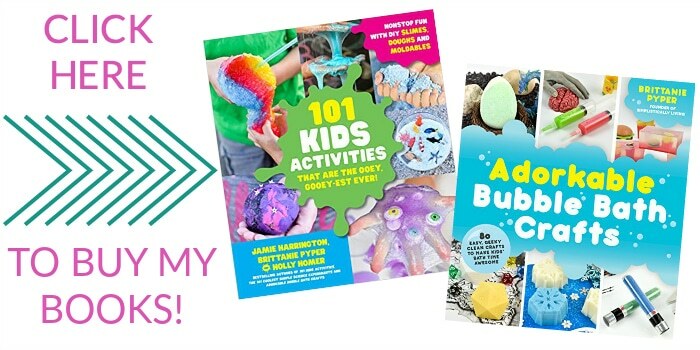 Both my kids LOVE minecraft and loved this recipe. 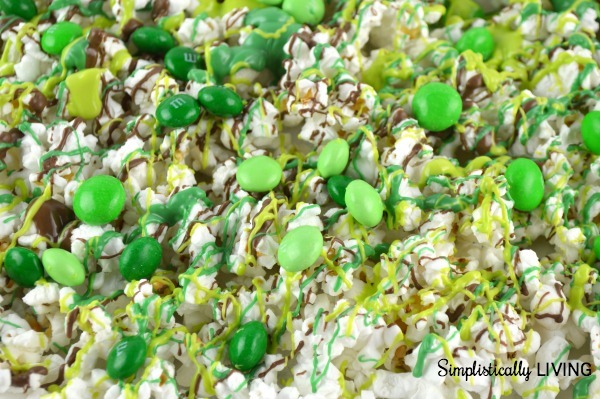 I will have to make them some buckets and try this popcorn for our next movie night.